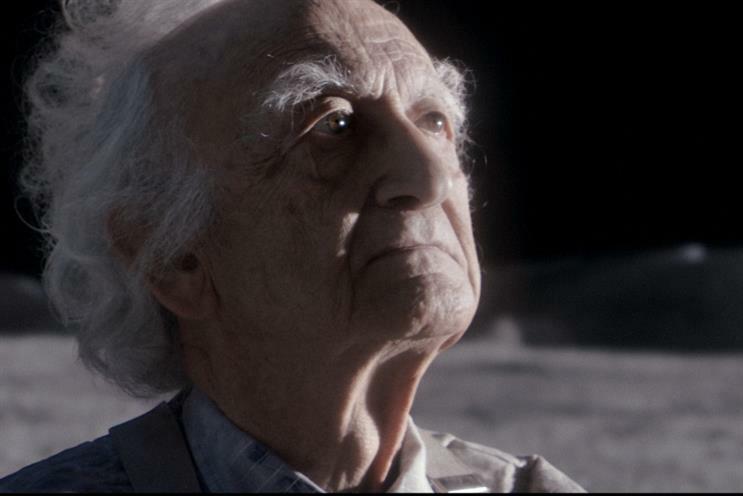 Adland gives us their first thoughts on the 2015 John Lewis Christmas ad #ManOnTheMoon. Read more here about the latest in John Lewis’ much anticipated Christmas ad series #ManOnTheMoon. Love it or loathe the latest creative outing by Adam&Eve, you have to respect the cultural power of the John Lewis Christmas ad phenomenon. We forget that there have only really been three or four really famous campaigns. But with them John Lewis turned itself from dusty retailer into seasonal institution. Truth is when you've got a big cultural platform at Christmas it feels only right to do some good with it. Christmas is about 'giving' right? Last year's Penguin spot did - I think - have some sort of charitable connection. But I can't really remember it. This year's AGE UK tie-up is a worthy cause and seems far less incidental. Once again I’m watching the John Lewis Christmas campaign with tears rolling down my cheeks. And this year, for the first time, I think we can call it a campaign as opposed to just a TV ad. It’s a campaign because the creative story is being woven across media with, for example, moonscapes across 11 stores. (My kids will literally squeal when they see those!) But most importantly what makes this an authentic and culturally impactful campaign is that John Lewis are raising awareness and funds for Age UK. Combine this with an excellent online and retail experience and John Lewis deserve every one of my pennies this Christmas. Before I saw it I was preparing not to like it. TV feels awash with John Lewis wannabe ads and they themselves are starting feel like a band that’s made the same album five times over. But I love it. As I was drawn into the story, the sceptical marketer in me melted away. As ever, it’s a story that’s beautifully told, but the other worldliness and hint of a greater moral for me gives it a fresh twist and greater heft. #ManOntheMoon hasn’t veered far from the much-copied formula of ‘cute animal/kid + breathy female cover of a Guilty Pleasure = Popular Cultural Advertising’, but when John Lewis distinctively own that territory, why should they? Especially if it’s not delivering diminishing returns. That’s the question Adland – not the real world – will be asking themselves this morning, having woken early like Apple fans at the latest iPhone launch. Is this young girl and her attempt to connect with a lonely, elderly Man in the Moon up there with ‘young boy + Morrissey = surprised parents’? It is very well crafted – yes, that's a price of entry these days - but unlike the ‘me-too’ executions we'll be seeing on heavy rotation, it isn't a knock-off Faberge egg, there seems to be something inside it. Personally I call it a bit of soul. John Lewis ads have a rewarding emotional depth that trumps any new found ‘empowerment’ brand purpose that will be forgotten the moment the CEO frowns at the sales growth or a pesky emissions test needs fixing. Not only has John Lewis backed this ‘soul’ with their famous ownership model but a partnership with Age UK throughout their experiential and digital campaign extensions shows potential for growth. #ManOntheMoon suffers from being expected. It ticks all the right boxes, but the saliency will only add value to the brand – in which case it has done its job. In evoking our community guilt and the thoughts of the season, it should emotionally connect on a mainstream level and that’s better than connecting with any abstracting planner. There's also no Lily Allen this year, which is great. If John Lewis is happy that they've made an expensive ad to promote awareness of Age UK then bravo. It definitely gets across the message that there are people who have had a huge impact on our lives but we easily forget about. A small act or show of affection can really make a difference. This direction is new and kudos to the team that came up with it. However, it's pretty bleak for a middle class retailer promoting themselves at Christmas. It's slow and doesn't seem to have the same emotional build to a crescendo as previous ones have had. We've even had to have an old man crying a tear added to show us how we should be feeling. The social media interaction is clever and the augmented reality in-store stuff. I do think we're getting a bit tenuous now though. It's no 'The Snowman' is it. Let's stop building it up so much please!